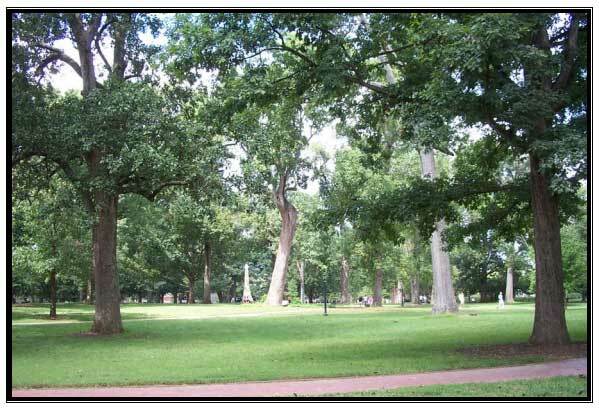 This report is the product of a more than one-year-long effort from concerned members of the University of North Carolina community to ensure that the culturally, historically, and ecologically significant trees and landscaped spaces of the Chapel Hill campus are preserved and maintained in a manner befitting their beauty and grandeur. At the time of this writing, Carolina is in the middle of the most significant building and renovation period in its history. Such a program poses many significant challenges to the survival and well-being of our cherished trees and landscapes. This report attempts to identify, promote awareness, and provide guidelines for both the protection and enhancement of the grounds of the University of North Carolina at Chapel Hill. Furthermore, this report is intended to work within the framework of two earlier documents that help guide development of the campus: the 2002 UNC Master Plan and the 1997 Report of the Chancellor’s Task Force on Intellectual Climate at UNC. We hope that members of the university community as well as outside consultants and contractors will find this information both useful and pertinent.